This past weekend, I spent a day at the BMW performance racetrack at its headquarters in Greenville, S.C. It was rainy, and the track was slippery. It really tested our skills. I find that high performance driving has many similarities with running a successful business. Perhaps the most important similarity is the need for trust. For example, you must trust that your tires will keep grip, especially in the rain, that your ABS brakes will keep you on the track and that the cars in front of you and behind you won’t make false moves. Most of all, you must trust yourself, that you can perform under pressure. It’s the same for a high performance business leaders. 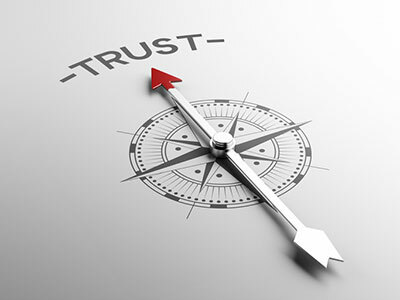 You need to trust your people and your organization. And yet, I have found that lack of trust is the most common personality glitch holding back entrepreneurs. Lack of trust leads to holding the reins too tight on your people. It leads to micromanaging. It leads to getting upset over the small mistakes. It leads to you focusing on the wrong things. A low trust leader — like a low trust driver — will second guess and slow everything down. How trusting are you on a scale of zero to 10? So hire well, be a good manager of the numbers and most of all, have faith and trust in your people. Let them take control over their areas, learn from their own mistakes and drive their own areas of the business. “Trust, but verify,” as Ronald Reagan said. However, it all starts with trust.